Power Stars created by the legendary Novomatic is just that game that will scratch your Vegas itch. You know that overwhelming feeling that makes you really want to gamble, spin some reels and try out your luck with slot machines, Power Stars slots has got your back. The game has five reels and a total of ten paylines giving you plenty of canvas to match up winning combinations. Gamers can play Power Stars online for free or if one is feeling lucky bet some real money. Make A Wish to the Power Stars! You have the choice to either play free Power Stars casino slot machine at no cost or with real cash deposit online with no download requirements. Playing is quite simple: once you decide between the options, simply click on spin and cross your fingers as you watch the reels. You will know you have won something once symbols in combinations of 3, 4 and 5 match up from left to right on your screen. Bonus FeaturesThe greatest bonus feature in this production is the wild ‘Star’ symbol. This symbol will appear on the reels 2, 3 or 4 if you are lucky enough. They get to replace any symbol on your reels to make sure you get more winning combinations. The best part of this is when the symbol is featured in the middle reel. If this happens, the wild will expand to the rest of the reel and give you automated free spins as they are held in their positions.This move can trigger up to 3 more wins for the player. 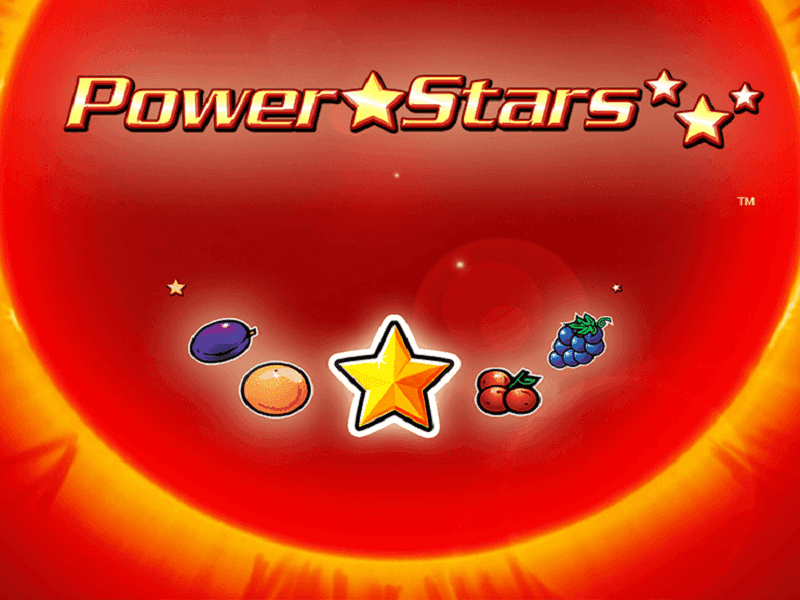 Power Stars online has no scatter symbols, but the wild star symbol gives the player massive winning options. Bonus RoundsThe wild symbol featured above also acts as a bonus icon. In the event that you get up to three wilds on your reels other than activating more wins, you will get bonus rounds to play. The bet amount, however, remains constant. 7’s symbol is the highest paying. This will give you 100g times your winning bet amount. The next symbol is the bell which will give you a max win of 50 times the bet amount. Third in place is the juicy watermelon and grapes that pay a total of 20 times your bet amount. Plums and Oranges follow in line giving the winner 15 times the bet figure. Last in place are the lemons and cherries that will send you home with a win of 10 times your bet. Play for free for a while as the more experience you get, the more you understand the game. The more you bet on, the more your payout. Start with low bets to avoid huge losses as you test the game and determine when to bet big. The main aim of gambling on a slot game other than entertainment is to get a high payout. One of the best games to try out your luck on the preferred casino is Power Stars Online which has a high RTP of 95.54% which means your odds of winning are more than 90%. The game is available in UK, Australia, South Africa and Canada. Get out there and gamble a bit, what is life without risk? 0 responses to "Power Stars Slot"
1 Make A Wish to the Power Stars!